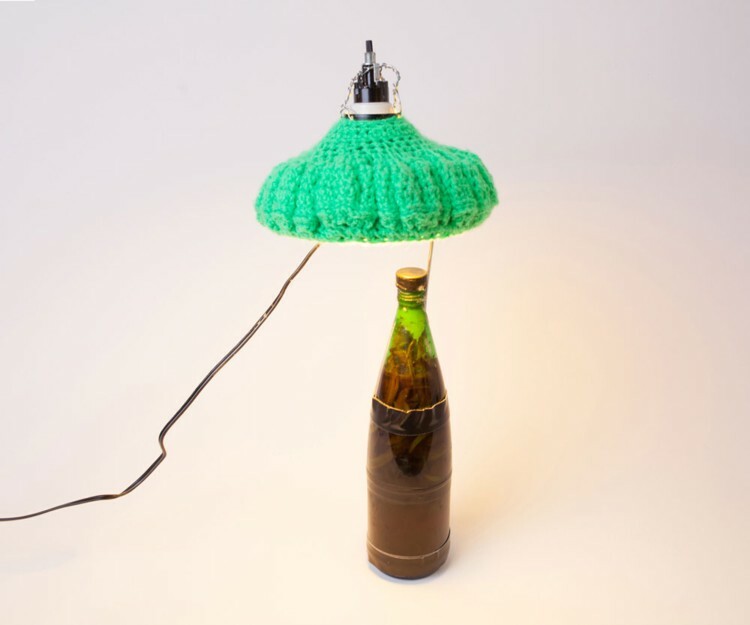 Crocheted Lamp. 2014. Glass, wax, tape, candy corn, onions, green beans, vinegar, yarn, lamp components, bulb, 8 1/2 x 8 1/2 x 8 1/2 in. Photography by Joseph Condor. Image courtesy of the CUE Art Foundation, New York, and the artist.